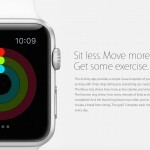 Soon, with the help of artificial intelligence, your Apple Watch will let you shop smarter. This will be possible thanks to the Capitan app for your iPhone and its companion on the Apple Watch. 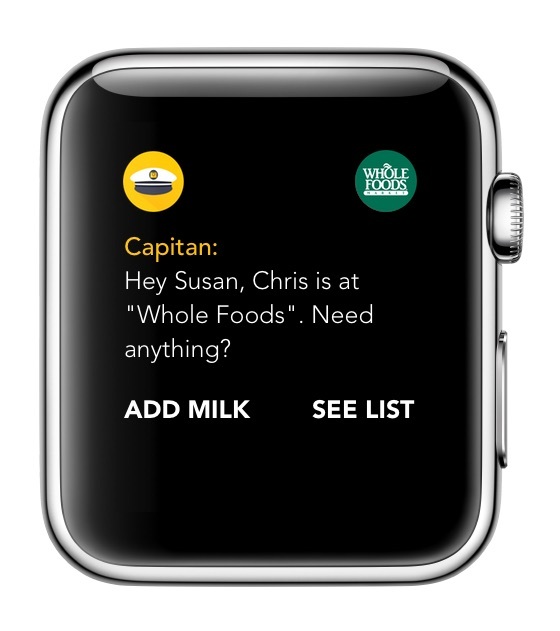 Capitan is a shopping list that talks and guides you to the things you need to buy. The app starts by helping you to build your shopping list. 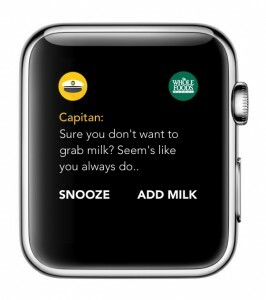 As you use Capitan over time, it learns your shopping habits and can remind you that you normally buy milk at a certain store. Inside and outside the store, Capitan is at work to make your shopping experience easier. As you approach the store, the Watch app will ping you to let you know you are near the retailer, asking if you want to view your groceries list. Once you are in the store, Capitan keeps making things easier for you. 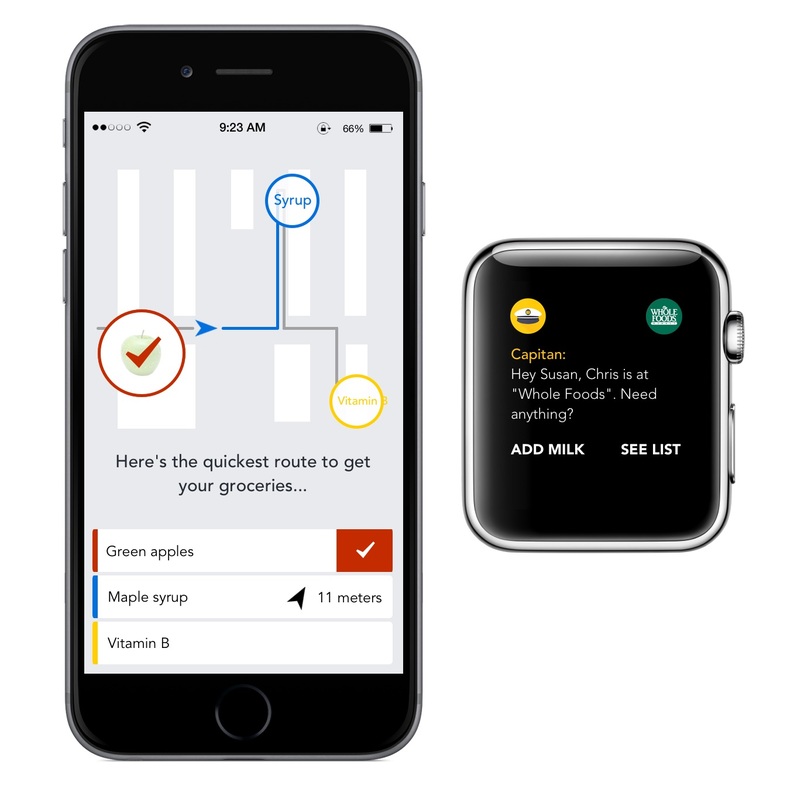 It knows where items are located in many stores, and will buzz on your wrist when you have to make a turn. A map of the store will even appear on your Apple Watch showing you where you are and where you need to go. Should you forget to put a commonly-purchased item on your shopping list, Capitan can remind you. The app learns your shopping tastes and habits, and recognizes when you are at a specific store to suggest products that you most frequently buy there. Finally, the app interacts with your family members. 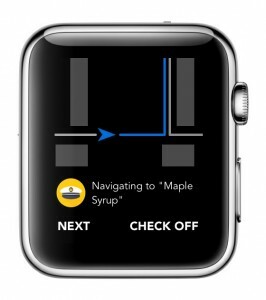 This way, they can see when you are at the grocery store and send you a last-minute update of items to buy. This saves you time and energy by cutting down on those extra trips for those “Oh, I forgot to have you buy bread” moments. Capitan is available by invite only. Click here to sign up for the waiting list for your first year free. 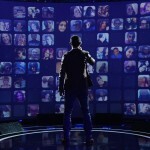 To bump yourself up on the waiting list, Capitan will let you recruit your friends and family members to sign up, too.